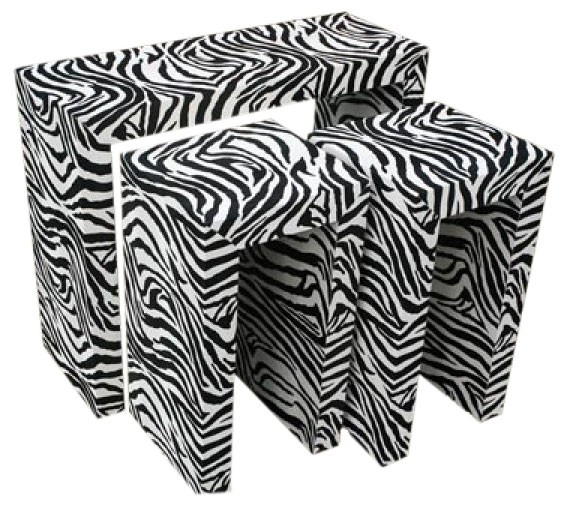 The Lounge Lizard Faux Zebra tables set of 3 is a chic giftware piece suitable for variety of room settings. Unique in appearance and would be the envy of all your friends…. This is a very diverse Funky Chic item which would look fantastic in any room or office…. Fantastic quality, very eye catching & impressive….